The Netherlands have won the ICC World Cricket League Championship and claimed the 13th ODI League position after an action-packed day’s cricket in Dubai. Scotland and Hong Kong also claimed the two remaining ICC Cricket World Cup Qualifier spots from the competition, joining the Netherlands and Papua New Guinea, with teams now just one step away from the ICC Cricket World Cup 2019 in England and Wales. A 236-run stand between Wesley Barresi and Ben Cooper eased Netherlands to an eight-wicket win over Namibia, scoring the winning runs in 41.1 overs at the ICC Academy 1. Barresi scoring 120 runs from 127 balls including 11 fours and one six and Cooper not out posting 109 runs from 111 balls including 15 fours and two sixes secured victory for the Dutch. Earlier in the day, Namibia had scored 269 runs for eight wickets in 50 overs. 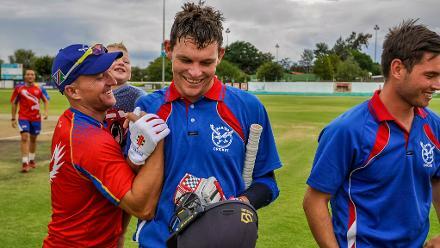 Top scorers Louis van der Westhuizen with 54 runs and JP Kotze with 48 runs were the main performers for the Namibians, as Netherlands bowler Roelef van der Merwe finished with figures of three wickets for 54 runs. “It is an amazing feeling, definitely the highlight of my career. With winning the ICC World Cricket League Championship, we have now become the thirteenth team in the ODI League and this is huge; I could not be prouder of the effort of the team not just today, but also over the last three years. In a nail-biting finish on the other pitch at the ICC Academy, Hong Kong secured a 23-run victory against PNG securing its place at the ICC Cricket World Cup Qualifier. After being sent in to bat, Hong Kong scored 230 runs for eight wickets in 50 overs, which proved to be enough as Papua New Guinea was bowled out for 207 runs in 47 overs. The Hong Kong batsmen Anshy Rath (37), Nizakat Khan (21), Scott McKechnie (29) and Tanwir Afzal (26) all got starts but failed to convert them into big scores. Babar Hayat, the captain, top-scored with an innings of 77, but fell in the 42nd over in search of acceleration. In reply, PNG did not get off to best of starts as they lost Tony Ura (22), Kiplin Doriga (0), Lega Siaka (2) and Vala (3) inside nine overs. At 29 runs for four wickets, Sese Bau (59) and Dai (60) then came together for a 98-run stand that brought PNG back in the game. Jack Vare (16) and Vanua (14) also chipped in with some handy runs, before falling to Ehsan Nawaz (2-56). Chad Soper (12) stuck around, but was left with too much to do as he was run out and PNG were all out with three overs to go, sparking Hong Kong and Netherlands celebrations. “We are very excited to qualify for the ICC Cricket World Cup Qualifier." “We took early wickets, but the way those guys batted to come back is great credit to the PNG team in the middle part of their innings. I was very happy with the way we reacted in the field and the bowlers performance. Scotland also claimed its place at the ICC World Cup Qualifier, with an eight-wicket victory over Kenya in Dubai. Put in to bat, Kenya were bowled out for 140 runs in 46.2 overs as their top scorer Collins Obuya made 32 runs. Scottish fast bowler Safyaan Sharif came away with figures of three wickets for 33 runs and set his team up for victory. The chase centred on Calum MacLeod (56 not out), captain Kyle Coetzer (52 runs) and Richie Berrington (29 not out) as the Scots cruised to victory in 28 overs. 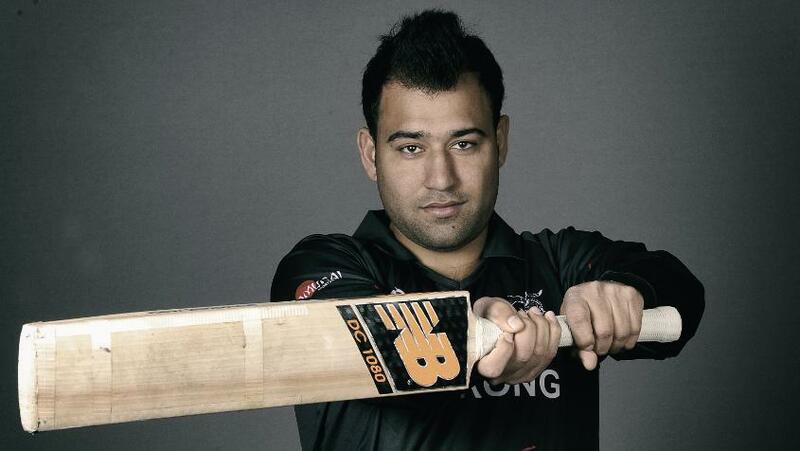 In the other day’s match, the United Arab Emirates beat Nepal by seven wickets in Abu Dhabi. Nepal batsmen Gyanendra Malla (54) and Sharad Vesawkar (81 not out) were the backbone of the innings, as the Nepalese posted 221 runs for six wickets. Chasing 222 runs for a win, the UAE got off to a good start with captain Rohan Mustafa (62), with Ghulum Shabber posting a top score of 81 runs including eight fours, and securing victory in 45.5 overs. The eight confirmed teams to compete in the ICC Cricket World Cup Qualifier 2018 that will be played in Zimbabwe from 2 to 25 March, are Afghanistan, Hong Kong, Ireland, the Netherlands, Papua New Guinea (PNG), Scotland, the Windies and Zimbabwe. Canada, Kenya, Namibia, Nepal, Oman and the United Arab Emirates will compete in the ICC World Cricket League Division 2 2018 from 8 to 15 February to compete for the final two ICC Cricket World Cup Qualifier spots.